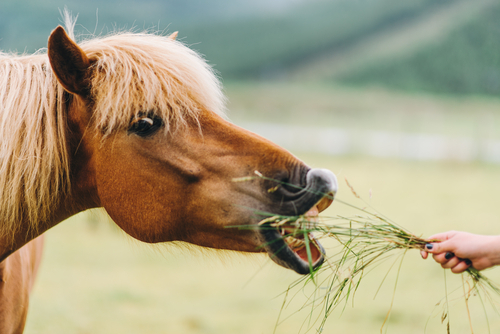 Keeping a horse safe and healthy is a big responsibility, especially when it seems like horses are the most accident-prone creatures on the planet. Luckily, there are only a few core things that every horse needs to remain happy, healthy, and safe. 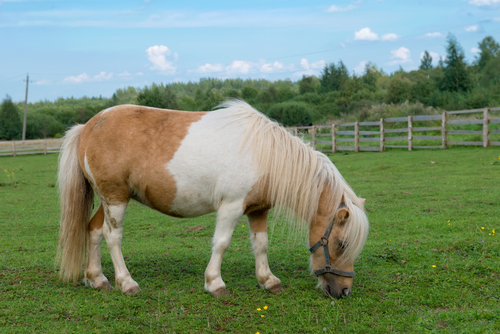 Here is the minimum you need to provide to support good horse health. Perhaps it should go without saying that the first thing every horse needs is water, but you’d be surprised how often this gets overlooked. Often it’s because people don’t realize how much water a horse needs, or the things that can prevent a horse from getting water. Each horse can drink around 10 gallons a day, depending on temperature and activity levels, so large tanks or frequently refilled buckets are a must. Plan on cleaning the tank or buckets regularly, especially in summer or if the tank is in full sun. In winter, you may also need to either install a tank heater, or break and remove the ice several times a day to ensure the horses always have access to water. Not drinking enough is a leading cause of colic, so free access to water is a must. Ensuring each horse has the proper nutrition can be more complicated than it sounds. Dropping your horses into a pasture or throwing them a bunch of hay may only solve part of the problem. They also need the right amount of calories to maintain a healthy weight, and it’s also important to test for nutritional content so you know whether you need to supplement for any missed nutrients. Alternatively, you could provide a complete feed, which is fed by weight and guaranteed to contain a certain nutritional content, simplifying feeding time and supporting overall horse health. Injuries are one of the primary reasons that horses see a vet. Whether your horse lives in a stall, corral, or pasture, it’s important to ensure he has a safe place to be a horse. This may mean keeping an eye on stalls and panels for damage that needs attention, choosing a safe type of fencing, and walking the pasture periodically to look for potential hazards. This may also include screening for potentially toxic plants in the enclosure. Vet visits aren’t just for emergencies! Just like with people, regular medical attention helps keep your horse happy and healthy. 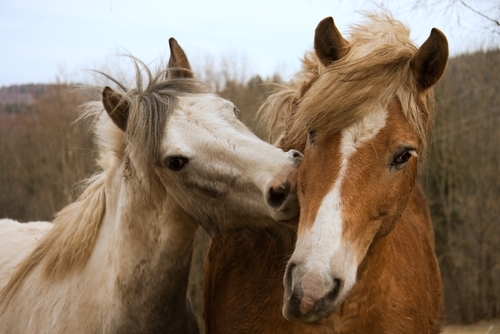 At minimum, most horses should have a vet set eyes on them once or twice a year. Vaccinations prevent diseases that are spread not only through contact with other horses, but also mosquito-borne diseases. An annual exam is useful for keeping tabs on the horse’s health, ensuring diet is meeting his needs, and catching serious health concerns early. If you feel overwhelmed with your horse’s needs, especially when it comes to proper nutrition or preventative care, remember there are many resources available to horse owners, such as books, clinics, organizations, and of course, your vet. 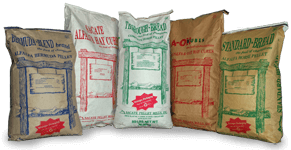 For more information about how complete feeds support horse health, contact Sacate Pellet Mills at 602-237-3809.